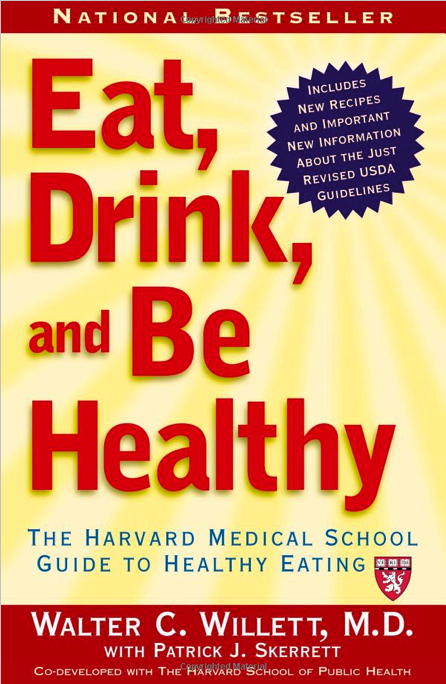 It is famously asked: “Why are humans the only animal that has to be told what to eat?” We are seemingly bombarded by nutritional advice from a multitude of sources, and the Human Nutrition & Obesity course now becomes part of this continuum. 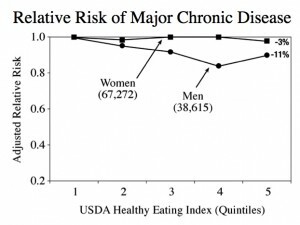 A consequence of this, not unexpectedly, is significant confusion among the public, as well as increased cynicism and skepticism to published nutritional recommendations. Dietary advice from the U.S. government began in 1916 (see the Washington Post’s The history of the food pyramid), and it would be fair to say that until the introduction of the classic USDA food pyramid in 1992, this advice was largely been well-intentioned, if a bit naïve. Beginning in the 1970s, however, two opposing factors gained sufficient significance to affect and shape the development of the future food pyramid. Firstly, health professionals were grappling with how best to address the rapidly increasing rates of cardiovascular disease, hypertension, and obesity. Secondly, U.S. farmers were increasing their focus on the production of commodity crops like corn, soybeans, wheat, and sugar beets and as the prices of these crops decreased, the economic incentives to increase beef, pork and chicken production became very attractive.Thus, the 1992 USDA food pyramid was shaped under the influence of two conflicting forces: offering nutritional advice and marketing the products of U.S. farmers. The result is a food pyramid that fails the health test. 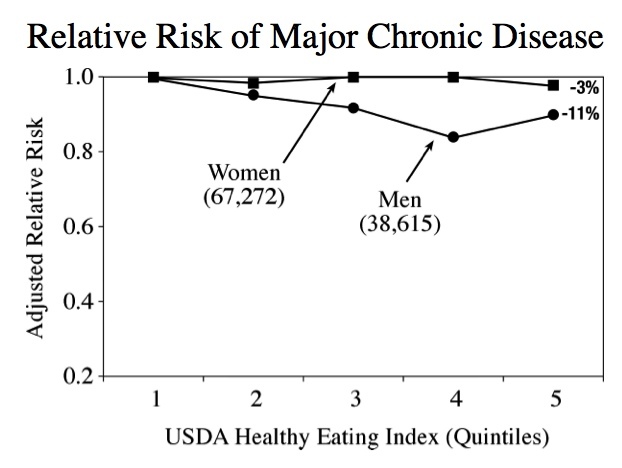 When adherence to the USDA food pyramid recommendations are plotted versus the relative risk of suffering a major chronic disease, those in the highest quintile of adherence, meaning those 20% who followed the advice of the USDA the closest, have an insignificantly decreased risk of chronic disease compared to those in the bottom 20% who completely ignored the food pyramid. Part of the blame for this failure is laid at the feet of health professionals who made well-intentioned, but scientifically indefensible dietary recommendations. But another significant part of the blame goes to dietary advice that is shaped more by a desire to market our surplus in commodity crops. An example of this conflict of interest is horrifyingly illustrated by the USDA’s under-the-table Dairy Management group marketing cheese to pizza makers. Although a course can be designed around a critique of the USDA food pyramid, a more constructive approach is to offer an alternative evidence-based pyramid. I have chosen the Healthy Eating Pyramid that was originally proposed in Eat, Drink, and Be Healthy by Walter C. Willett, MD of the Harvard School of Public Health. The Health Eating Pyramid will serve as the framework for the first part of this course as we introduce and examine the evidence behind the recommended proportions in our diet of the major food groups. We will learn that carbohydrates, proteins and fats play very different roles in our physiology and health, and as the proportions of these food groups have changed over the years, so have our relative risks of chronic disease. This article was originally published on the Georgetown Food Studies Blog. Republished here with permission of the author, Georgetown University Professor of Pharmacology and Physiology, Thomas Sherman. Professor Sherman is a contributing author to the GUWellness blog, exploring topics like food as medicine, nutrition, metabolism, exercise and appetite.